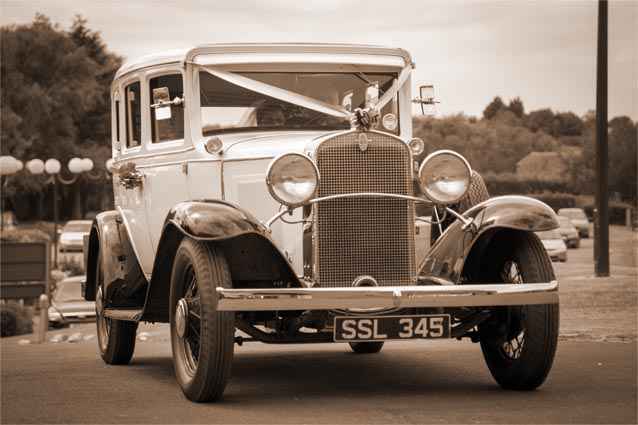 Vale vintage wedding cars evolved from Kevin and Sue's passion for vintage cars. One day whilst out for a drive in Thomas they stopped for a break. As usual people came to look at the car and one of the questions asked was "do you hire it out for weddings?" A seed was sown and they have never looked back. Situated at Cropthorne, near to Evesham and Pershore, Vale Vintage cars are able to offer their beautiful cars for weddings throughout Worcestershire, and further a field and are happy to deliver brides and bridal parties in style from Cheltenham, Gloucestershire, The vale of Evesham, The cotswolds stretching to The malverns and beyond. 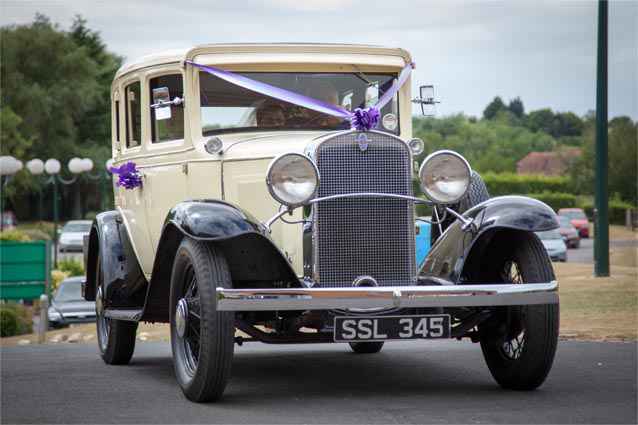 Here at Vale Vintage Wedding Cars we appreciate that your wedding day is one of the most important days of your life, it is a very personal event and our aim is to make sure that we play our part in you realising your 'dream' day. 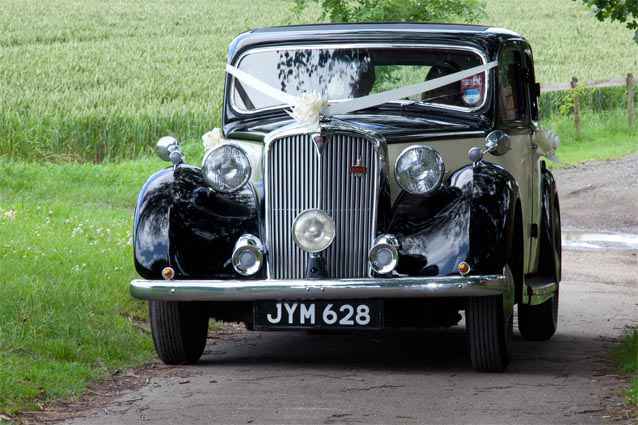 Our wedding cars are supplied decorated with flowers, ribbons and bows in the colour of your choice. Of course our wedding cars are kept in excellent mechanical condition. The fully valeted cars are only ever booked for one wedding on any given day, ensuring no one feels under pressure regarding the time in taking photographs etc. Which ever of our vehicles you decide to hire, be assured that you will experience the elegance and style from a bygone era with all the charm and romance of it's time.